Life In A House of Blue ! 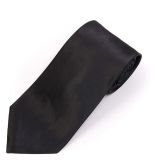 : WIN - ABCnecktie.com Great for Father's day !2 winners ! Great for Father's day ! About the Company : "We carry only the best brands and models of discount ties on the market starting at $15. If you're shopping online for quality ties, we definitely have what you're looking for. We are committed to offering you the finest ties at great prices while providing exceptional customer service.We work directly with manufacturers so we are able to pass the savings on to you. " grandpa or your husband they will have a neck tie to fit there taste. No matter how many you need to buy you will find a great deal with neckties starting at $15. You can shop by styles such as Big and Tall Ties , Collegiate Ties , Striped Ties and many more.I really like their line if Zipper Ties , zipper ties work well with my teen age son. Besides shopping buy style I like that you can also shop buy category. They have a great selection from Animal Print Ties , Armed Services Ties,Food Ties ,Holiday Ties , Occupational Ties , S ports Ties and a few more ! What a better gift than finding the perfect tie to fit your loved ones personalty ! They will know you put thought into their gift ! A $25.oo GC to ABCNeckties.com ! Winners Have been emailed ! in Red! Please enter my name in your drawing. Also, I am a fan on your Facebook Network Page! I like the Davis silk tie. Thanks for the chance. Hubby has a brown shirt that the Jeffrey Striped Silk Tie would go wonderfully with! I like the Mint Woven Grid Silk Tie. I like the Martinez Fashion Silk Tie. Please accept my entry. Thank you. The Polka Dot Freestyle Bow Tie is a perfect funky tie! Shawn striped silk is one I like. The Butler Paisley Silk Tie definitely catches my eye. You're added to my blogroll. I like the Shawn striped silk tie. The Butler paisley silk tie is my fave. Thanks for the chance! I love the Musical Note Necktie! I still don't know what to buy Dad for Fathers Day this year. I have a few ideas ready, but nothing wow. At least I may have my card idea sorted out. I came across a cool freeFathers Day eCard site which I quite like, there are lots of cards which I know my Dad will like. Whenever I go onto this site I always find new cards which I like, so it maybe worth giving it a try. 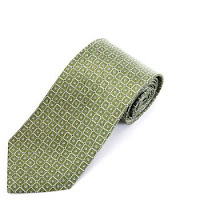 I love the Elkhart Striped Silk Tie in green. The Dunbar Dots Silk Tie caught my eye! I like the Bailey Striped Silk Tie. i love the easter egg necktie! I love the chesepeake checkered silk tie. Thanks for the giveaway! I like the Parker Fashion Silk Tie. I think my hubby would like the Chesapeake Checkered tie since he dresses conservatively for work. I like the Chesapeake Checkered Silk Tie. I love the Smiley Faces All Over Tie! I like the Black/Brown College Necktie. The Walker Plaid Silk Tie looks great.. I like the Cheetah Print Skinny Tie! I love the martinez fashion silk tie. 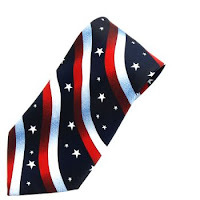 I love the Stars & Stripes tie, it would be a great gift for a teacher friend of mine. My choice would be the Jacksonville Jaguars Necktie for my son...he would be so surprised if I won this for him. I am a follower of Life In A House of Blue. I am an email subscriber to Life In A House of Blue updates. I liked the Davis Striped Silk Tie the best. Thanks. The Davis silk tie looks very nice!